McDonald’s India has launched not one but two of its flagship McCafé outlets in Chennai – one at the Vijaya Forum Mall on Arcot Road, and the other at Anna Nagar – thus demolishing the myth that Chennai is a city that loves only filter kaapi. The sprouting of numerous specialty coffee outlets across Chennai in the past 15 years is proof of the changing taste-buds of Chennaites. 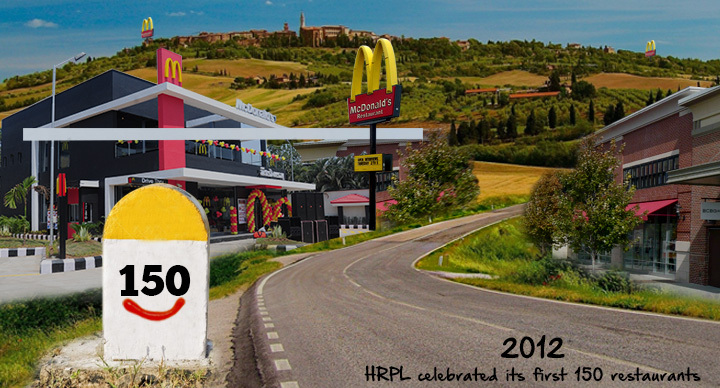 Chennai is the 12th city (and the second in South India) to host a McCafé. 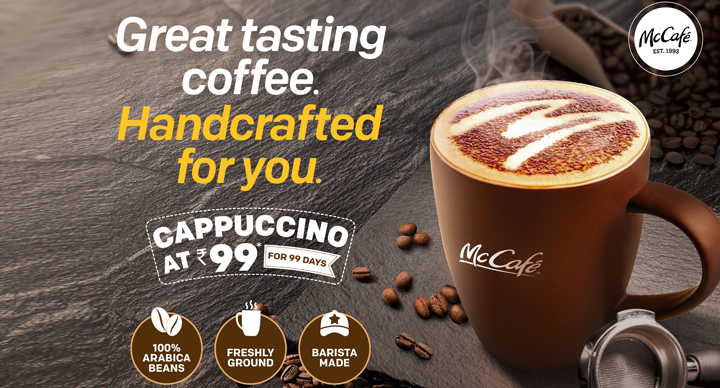 The Chennai launch follows closely in the footsteps of McCafé’s launches in Mumbai, Nashik, Aurangabad, Pune, Kolhapur, Ahmedabad, Baroda, Vapi, Surat, Bengaluru and Indore, there being a total of 95 McCafés. The quick rollout has been possible because of McCafé’s unique “in-store” format i.e. 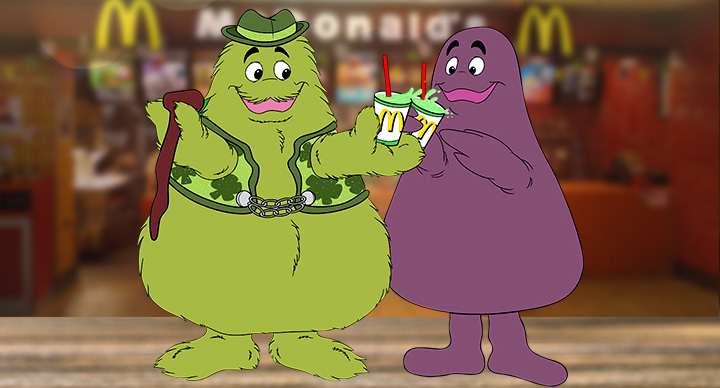 inside existing McDonald’s restaurants. 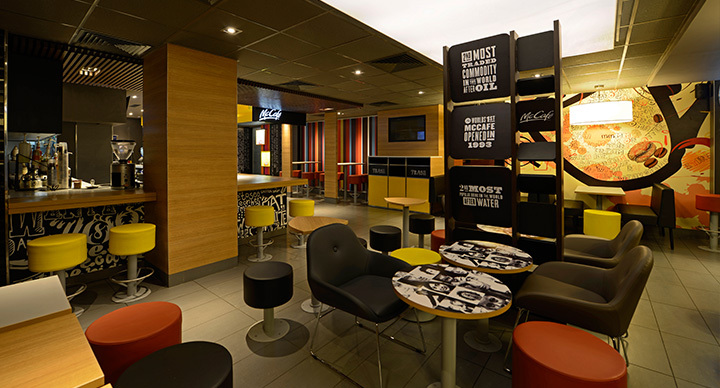 McCafés are stylish, separate areas within McDonald’s restaurants, where customers can choose from a variety of beverages like lattes, cappuccinos, mochas, hot and iced premium coffees, and hot chocolate. 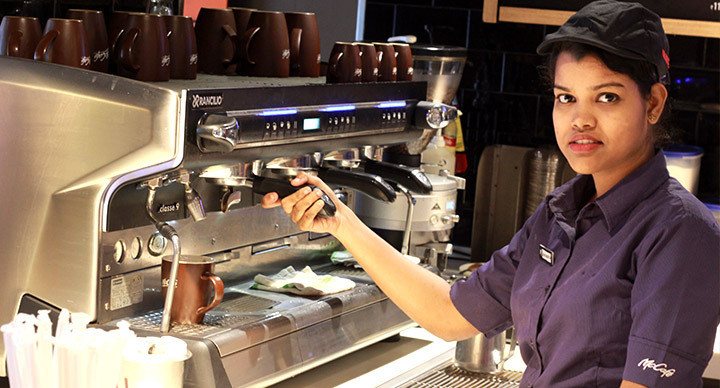 McCafé has been successful in creating a customer experience with a difference, especially by increasing the variety of its product offerings. Chennai’s taste-buds may have changed to accommodate speciality coffee, but its denizens are still sticklers for authentic taste and real aroma. They will be only too happy to know that McCafé uses only 100% Arabica beans to brew its coffees, the same beans that lend filter coffee its unique taste. Arabica beans, once picked and roasted, creates a balance of authentic aroma, full-bodied taste and a rounded and smooth sweet aftertaste. The McCafé blend is an all-Arabica espresso with crisp and fragrant wood notes, a hint of chocolate and nuts, medium-bodied with a long and rich finish. Each Arabica bean lends a distinctive flavour, because it hints at its land of origin. In the case of McCafé, the coffee is sourced locally from the misty hills of Chikmagalur, in Karnataka. Chikmagalur is the place where the first seeds of coffee were sown in India, 350 years ago. The perfect bean demands rich, fertilized, mineral-filled soil, besides perfect weather and ideal soil. McCafé, with its wide range of premium, espresso-based, flavoured coffees, makes it a destination of choice for coffee lovers. 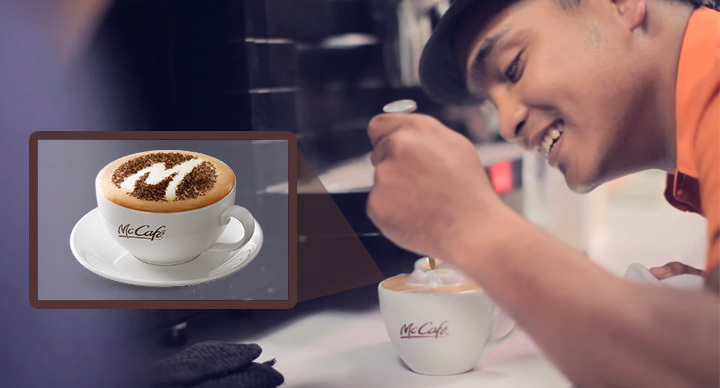 A cappuccino at McCafé, for instance, is not just another cappuccino, but one that comes in three mouth-watering flavours – caramel, hazelnut and vanilla – as do the Lattes. Mochas include the espresso, topped with whipped cream and chocolate syrup. Then, there are Iced Lattes for a city that stays warm all through the year, available with syrup options in caramel, hazelnut and vanilla. Iced Mochas feature cold espresso, with chocolate syrup and milk, served over ice. The range of brewed iced coffees feature Premium Roast Coffee and light cream, served over ice. 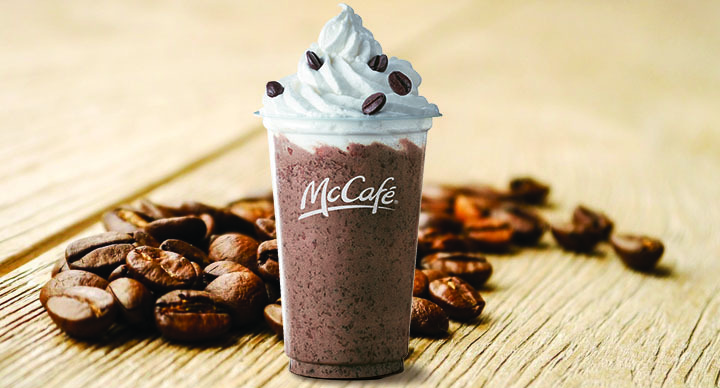 McCafé also offers Hot Chocolate, a flavourful, warm blend of whole, non-fat, steamed milk and chocolate syrup, topped with a cloud of whipped cream and chocolate drizzle. No wonder, it was a favourite of the fictional character, famous detective Hercule Poirot. McCafé’s Iced Splash Beverage feature traditional and popular flavours like aam panna (raw mango), kokum and musk melon, with a dash of ice! Share Shakes are unique Sip & Eat premium desserts that are available in three flavours – Oats ‘N’ Raisins Cookie Crunch, Strawberry Oreo Whirl, and Espresso ‘N’ Brownie Overload. Beyond specialty coffees, specialty teas are also served. There are hot and cold tea options, the hot ones ranging from Chai Latte, English Breakfast to Strawberry and Moroccan Mint Tea, and the cold teas available in Lemon, Green Apple and Strawberry flavours. Chennai is proving once again that when it comes to being connoisseurs of coffee, filter or specialty, they know their coffee best.